The ACA (Australian Cartoonists Assoc) are having an exhibition at the Ellenbrook Gallery from 20th February until March 22nd. 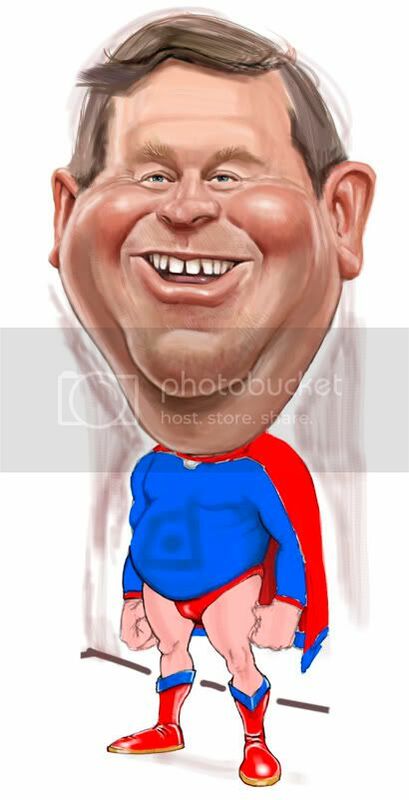 They asked if I could pop some work in, so I'm in the progress of completing this caricature of our Premier and State Leader Colin Barnett. Not sure how I'm going with a solid scene to place him in ... I'll work something out. The theme is fairly loose 'Heroes and Villains' so that can cover a broad spectrum !! I'm also going to pop in a couple of my favourite 'oldies' Mick Jagger (baby boomer Hero) and the Federal Treasurer, Wayne Swan (complete dead set villain) ! Thanks for dropping by my blog,Tel!!! great job college!!! i like this tecnique!!! fantasticrazy!!! 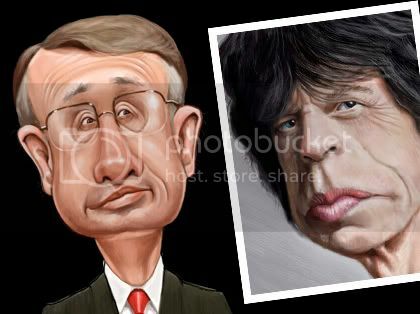 I invite my blog to caricature and cartoon in colombia. Hey Tel been folowing the news about the fires in Australia hope all is well with you my friend. Many thanks JB and Triana - appreciate it. Nelson the fires have been dreadful it is a very sad time for Australia - I'm some 2,000 Klms from the fire area - I appreciate your concern though. Thanks. Thanks Anthony, I hope to finish it over the weekend, it's due at the gallery on the 18th. I've decided to donate the proceeds to the bushfire appeal - so I hope it makes it's reserve.